Have you ever been to Puerto Rico? I have! Back in 2010, I stopped there when I went on a cruise. I was only there for a couple of hours and didn’t get to see nearly as much as I wanted. 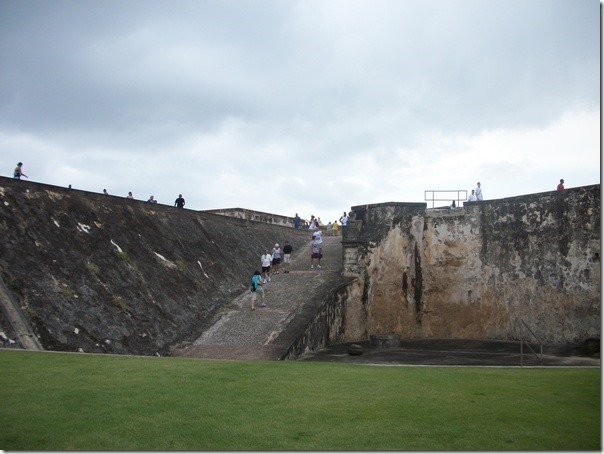 One thing I did get to see, though, was the super cool fort in Old San Juan! I’m so glad we took the time to check it out. It was such a neat experience for my son! 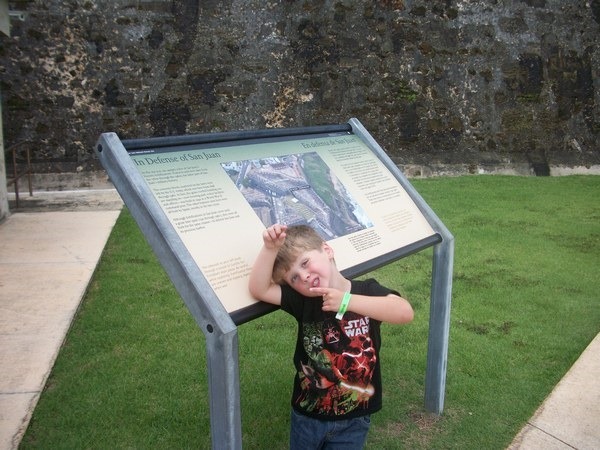 He was 5 at the time and really loved exploring the fort with his cousin. We went on the cruise with my aunt and uncle. The views from the fort were absolutely spectacular! I admit, I was too chicken to climb all the way to the top. Still, from my vantage point on the middle level, I got some outstanding pictures. As I said, we were only in port for a couple of hours. Ever since that trip, though, Puerto Rico has been high on my list of places to return. I love that I don’t need a passport to return (especially since my son’s is expiring this year!). No foreign money exchanges either! I can just hop on a plane and go! The fort that we explored is just one of many. 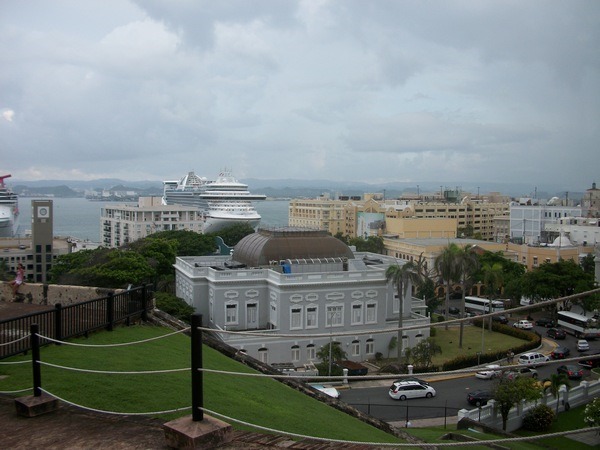 Puerto Rico has an amazingly rich cultural side to explore for history buffs! Take a look at a few other places that I’m dying to explore! Casa del Libro- As a book lover, this little museum, which translates to “House of Books” is a must-see for me on my next trip to Puerto Rico! It features over 300 volumes from the 15th century! I would LOVE the opportunity to see books and documents from that long ago! Museo de Arte de Ponce- This is considered one of the most important centers of European art in the Caribbean, so that puts it pretty high on my itinerary! It includes art by some of the masters, such as Roy Lichtenstein, Sir Edward Coley Burne-Jones and Lord Frederic Leighton. The museum’s arrangement of the art makes it just as special as the art it houses. Rather than highlighting art by period or style, it combines works that offer contrasting viewpoints. Castillo Serrallés- This stunning mansion once belonged to the family who created Don Q rum. It’s an incredible example of how the wealthiest lived at the turn of the century. Today, it’s been fully restored and is open to the public as a museum. Caguas Botanical and Cultural Garden- This is perfect if you can’t get there to see the Festival de las Flores. 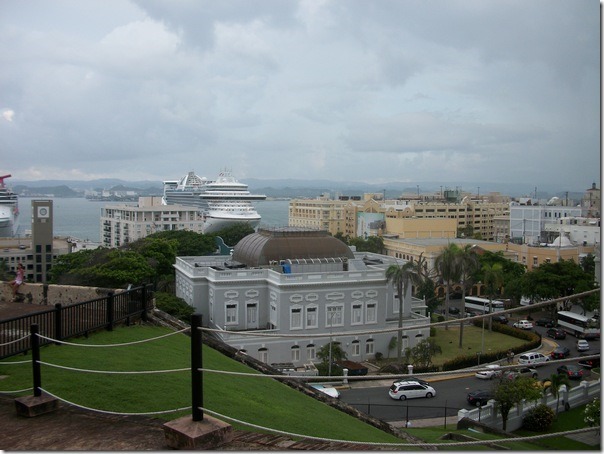 Even if you do go for the festival, this is high on my list of must-see cultural attractions in Puerto Rico. It features a combination of Taíno, African, and Spanish influences. The Garden also lets you experience tropical flora and stunning wildlife. Remember, if you live in the US, you DON’T need a passport to visit Puerto Rico! You also don’t need to change your money over. Just hop on a plane and land in paradise. Live your own 5-star vacation story in Puerto Rico. For more information, be sure to Like SeePuertoRico.com on Facebook and Follow @PRTourismCo on Twitter. What would you love to do on a visit to Puerto Rico? Tell me in the comments! Looks like a beautiful place to visit! I’ve never been before but would love to! This looks like such a beautiful place to visit. I would love to travel to Puerto Rico someday.